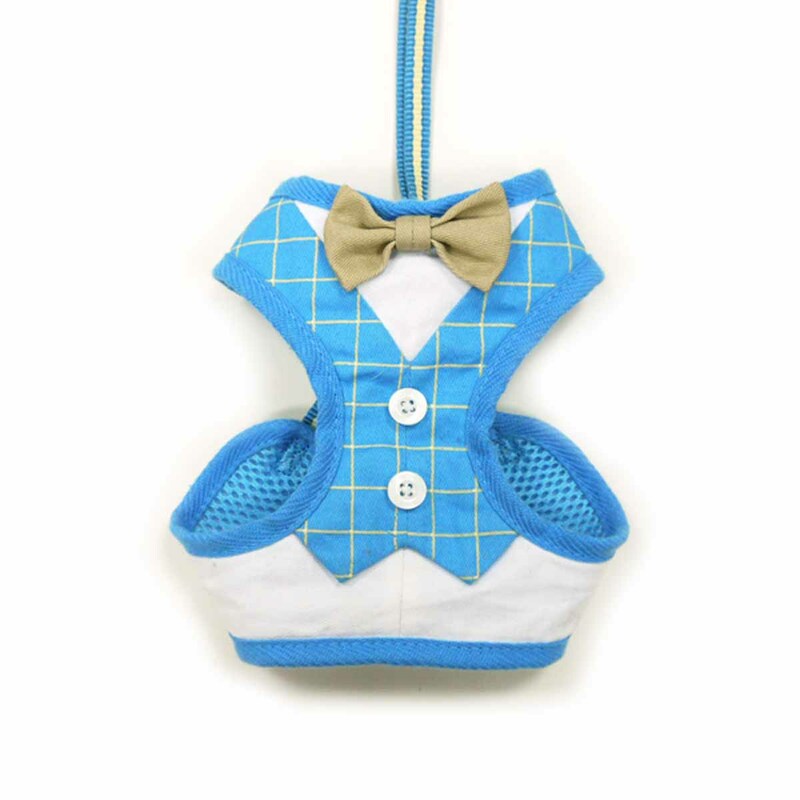 Dog will dress up your special occasion in this EasyGo Bowtie Dog Harness by Dogo in Black. 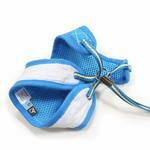 The best all in one soft harness. Easy, safe, and comfortable to wear. It features buckle-less step-in design that is secured by a simple slide down clip. Matching lead is included. EasyGo Bowtie Dog Harness by Dogo - Blue Customer Photos - Send us your photo! Sometimes the cutest bunny isn't a rabbit! Dasher was recently adopted and just completed obedience training. See how well he sits? He is a big heart packaged in a tiny furry body and we just love him! Sully is a sweet boy full of love and cuddles. He love to dress up and be fused over, and he loves to sleep under his blank i.e. So you can't see him. He is a gentle sweet boy! Just like his "big bro" Owen He rescued me not the other way around. Griffin loves walks, rolling in freshly mowed grass, and belly rubs. He feels like a dapper gentleman in this harness. Scruffy is wearing his new EasyGo Bowtie harness from Baxter Boo. He looks so handsome in it. Here is our baby Chico showing off in his new harness. Posted On 06/29/18 by Bethany C from Damascus, MD Yes, Bethany C recommends this product! I paired this "vest" with a pair of blue bunny ears and my dog looked so cute in his Easter photos! 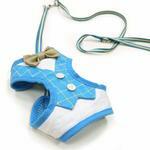 The vest goes on easily and doubles as your harness/leash. We attended a sunrise Easter service that is outdoors, and we saw that people brought their dogs, so we are going to put him in this and take him with us next year! Posted On 05/14/17 by Polly B from Ft wayne, IN Yes, Polly B recommends this product! Posted On 11/25/16 by Helen H from , WV Yes, Helen H recommends this product! 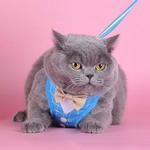 Bow Tie Harness is So Cute! Posted On 02/17/16 by Susan B from Green Valley, AZ Yes, Susan B recommends this product! This harness is so cute that my husband took pictures as soon as he saw our Chihuahua in it. It will be very comfortable. the XS is still big on him because he only weighs 2.2 lbs. But what a treat to see our baby by in this harness. Posted On 08/17/15 by Mitzi J from , TN Yes, Mitzi J recommends this product! 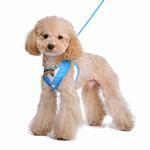 Cute dog harness. Great for a dressy outing!! I have always been pleased with my BaxterBoo Experiences.